I kicked off the start of the fall teaching semester a little differently this morning. When it comes to drawing, writing and telling stories, there are few places more humbling & inspiring than SVA’s Illustration as Visual Essay Graduate program. This year, in addition to the Digital Portfolio class with the 1st year students, I have been tasked (mostly by the students themselves) with the creation of a 2nd year course on the “Digital Book”. Given the crossover with the work that goes on in the studio, and our general love for interactive storytelling – it’s my intention to share what the group is up to. 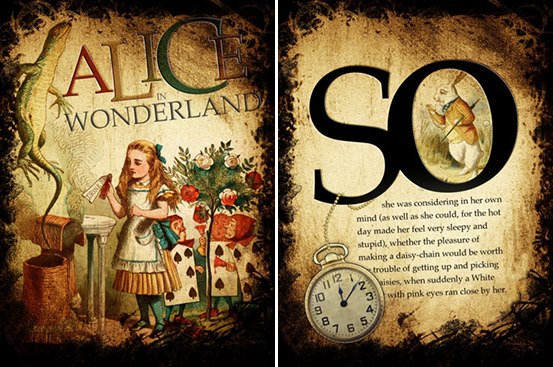 Alice for the iPad (by Atomic Antelope) has. It’s beautiful, it makes people smile, it makes people who make stories/draw want iPads, it then inspires them to learn how to create their own storybook applications. I had not realized that the app now includes the original 249 page edition of the story. 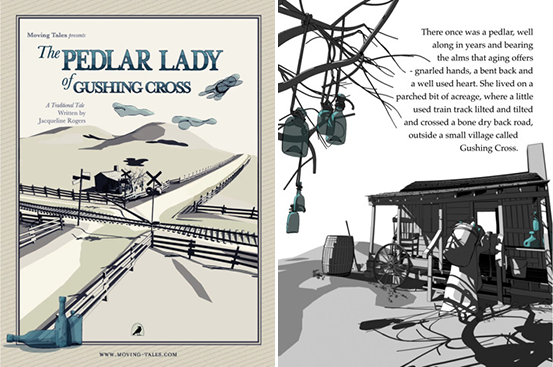 The Pedlar Lady of Gushing Cross (by Moving Tales) is a breathtakingly original story and presentation. I am looking forward to seeing how this app will be updated over time and what will come next from this group. Of all the digital storybooks on our iPad at home Jack and the Beanstalk (by Ayars Animation) easily gets the most screen-time from my 3 year old son. The attention to interactive detail is unsurpassed. Every page and every update reveals another treat. it seemed to get quite a few giggles from the over 20 crowd as well. The folks at Duck Duck Moose have been cranking out quality interactive story apps for iOS since day one. 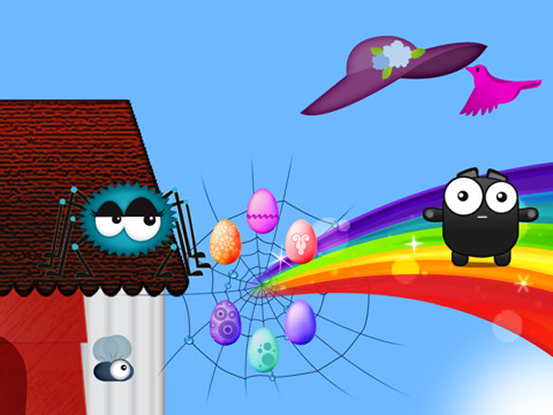 One of the best being Itsy Bitsy Spider for iPhone and Itsy Bitsy Spider HD for iPad. Not surprisingly, discussing their applications became the catalyst for our conversation on non-linear storytelling. It’s hard to spend time discussing the tablet based comic book apps without getting sucked into reading a comic book or two. 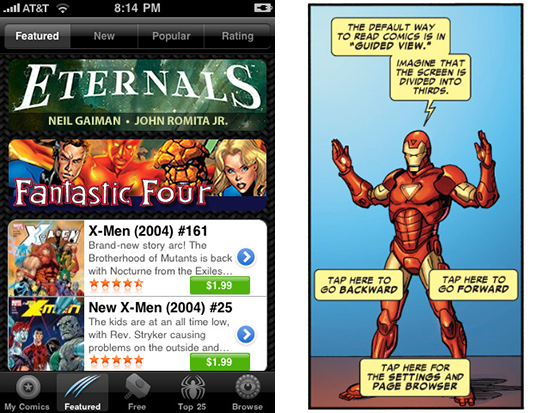 Between the high resolution zoom and the panel-by-panel reading experience – the Marvel Comics app could easily springboard into a semester of digital storytelling projects. If you have any specific apps/stories that we missed, don’t hesitate to drop a mention in the comments. I’m sure this list is going to grow pretty fast. The landscape of tablet based digital books is changing every day. GREAT start! If you get a chance, take a look at some of the apps by Once Upon an App (www.onceuponanapp.com). 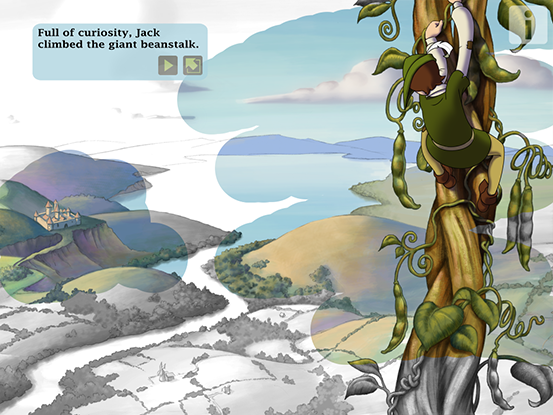 Our educational, interactive apps embrace the classic children’s stories of yesteryear. In fact, we have some very exciting apps coming out soon and will be happy to send you the promo codes if you are interested. Just let us know. You have a really nice list of some of the early books to launch. Taking the next leap forward (we think) is Treasure Island, the Experiance (see a video at: (http://www.youtube.com/watch?v=8lkrzsmY_wA). Take a look and tell us what you think.